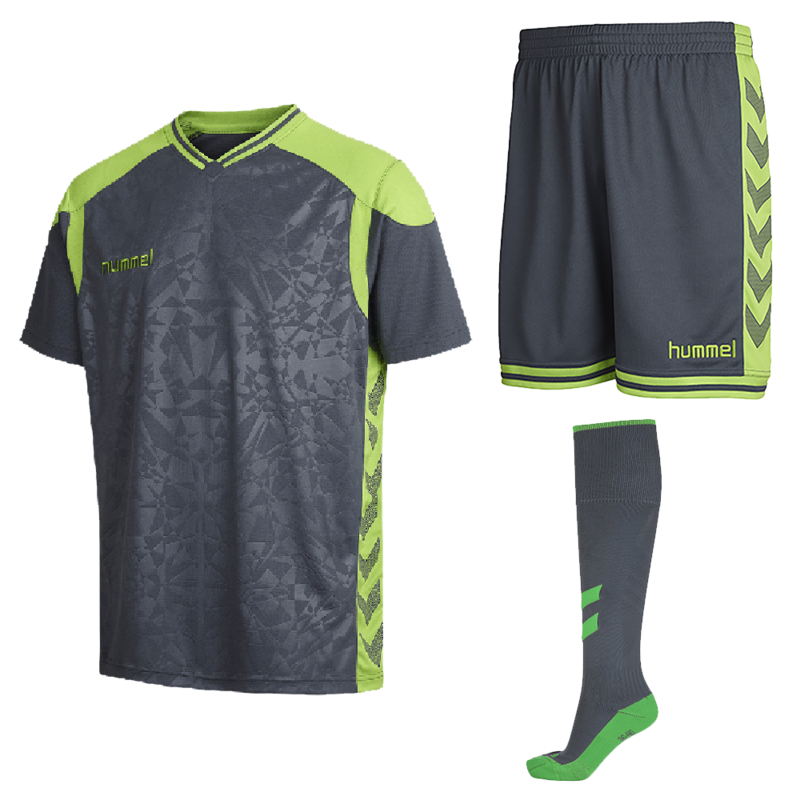 The short sleeved Hummel Sirius Goalkeeper Kit offers the goalie a matching shirt, short and sock for training or games. The lightweight materials wick sweat away from the body, keeping the goalkeeper cool under pressure. 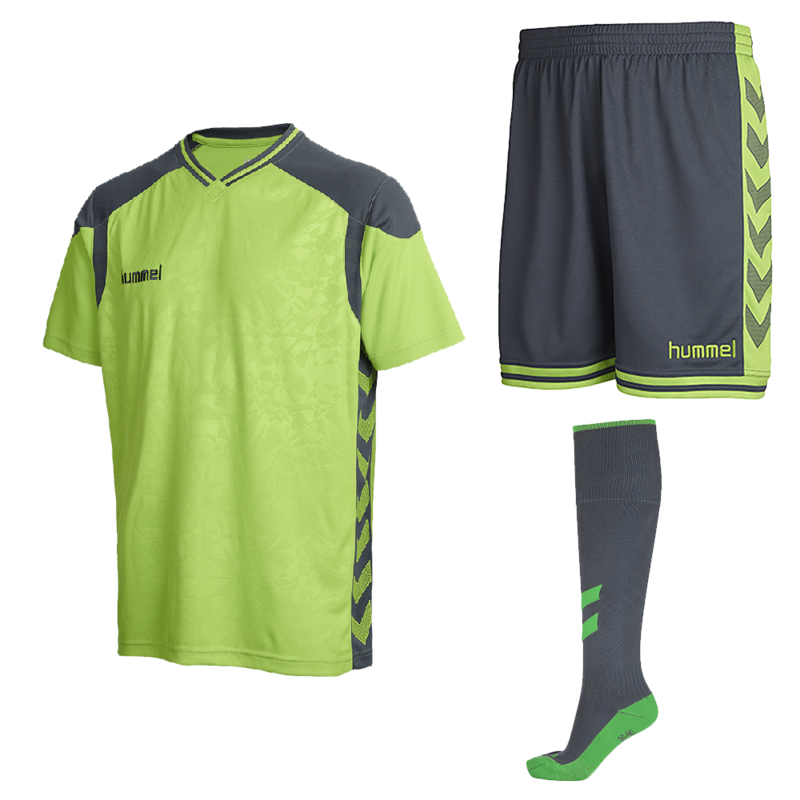 This goalkeeper kit is perfect for warm weather training or games, providing top quality materials and craftmanship. Jersey: 100% polyester knit with quick dry moisture management to keep the goalkeeper cool under pressure. 91% polyester 9% spandex mesh insert at armhole for added ventilation and flexibility. Embossed print pattern on front chest. Short: 100% polyester knit with quick dry moisture management. Elasticated waistband with drawstring for custom fit. There is no padding in this Hummel goalkeeper kit. 1x1 ribbed v-neck for sturdy construction and comfort. Nice goalie kit for the price. They ship quick and customer service was on point.